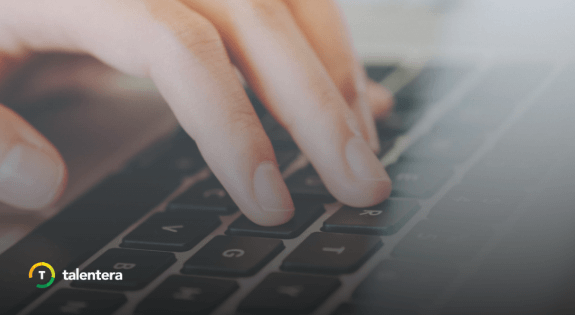 Where candidate sourcing might definitely be the most difficult part of filling a vacancy, ask any recruiter worth their salt and they’ll tell you that shortlisting the right candidate for the job is the most crucial part of the whole recruitment process. Think about it – you have a bunch of potential candidates with similar skill levels and an equal shot at being hired at your organization and all that stands between them is your team’s judgment on who would fit the job best. The intention here is in no way to daunt you but rather to bring the centrality of this crucial evaluation stage to the forefront because so many things ride on it. 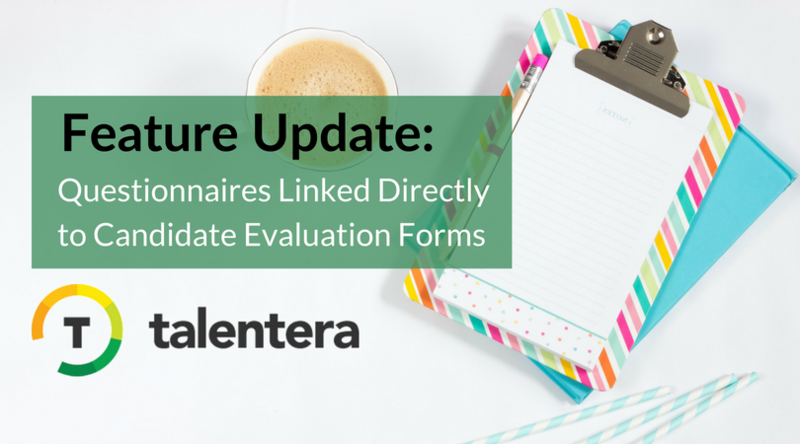 For this very reason, the product team at Talentera places immense focus on fine-tuning those features across the ATS portal that tend to the candidate evaluation and assessment stage in the recruitment funnel. Earlier in the year, we introduced candidate scorecards to help your recruitment team reach objective decisions on whom to hire. This time, we worked on enhancing the Candidate Evaluation Forms so you can add questionnaires that have been filled out by the candidates for improved clarity on their whole performance and help you get a comprehensive bird’s eye view of their abilities. 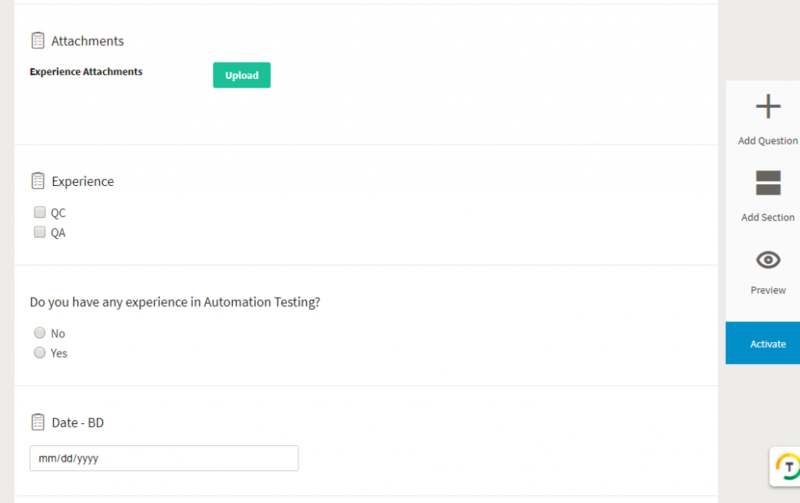 Not only does this enhancement assist in evaluating candidates more efficiently, it also significantly de-clutters the interview process by letting you add submitted candidate questionnaires to their evaluation forms while also allowing you to add new follow-up questions to their responses. 1. 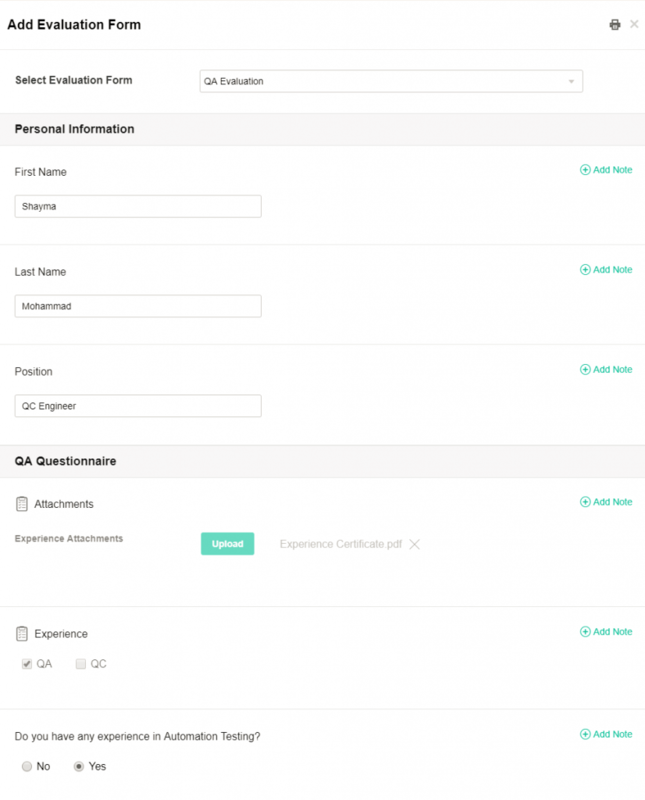 Create a new evaluation form and add your sections to the form. For example, you can add a “Personal Information” section. 2. Once you choose the questionnaire, click Save, and all the questionnaire questions will be loaded into your evaluation form. 3. 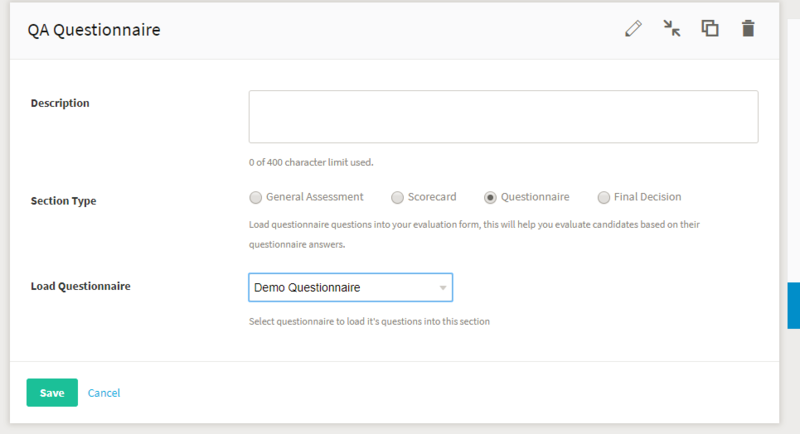 Once the Questionnaire questions are loaded into the form, you can see a preview of each question, delete any undesired questions to show in the form, or rearrange the order of the questions. However, you won’t be able to edit these questionnaire questions. 4. Add your own questions into the Questionnaire section as follow up questions. Note that Questionnaire questions will show a Questionnaire icon next to them in order to distinguish between normal questions you added and the loaded questionnaire questions. 7. Choose the evaluation form you created, and the candidate’s responses submitted in the questionnaire will be loaded in the form! This will help you take into consideration the responses provided by the candidate in the submitted questionnaires. Fill out the answers to your questions, and save the evaluation! 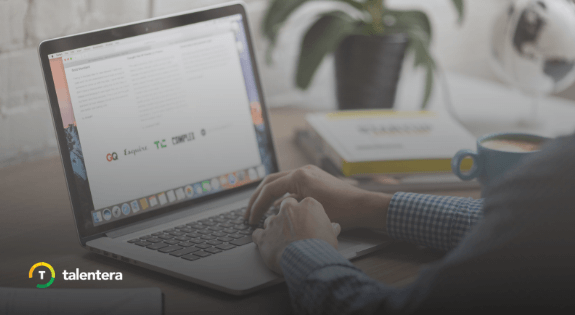 Before entering an interview, load the evaluation form, and click the Print icon to print the evaluation form along with the candidate’s questionnaire responses. This will help you stay ahead of your game, and not rely on notes taken before the interview!